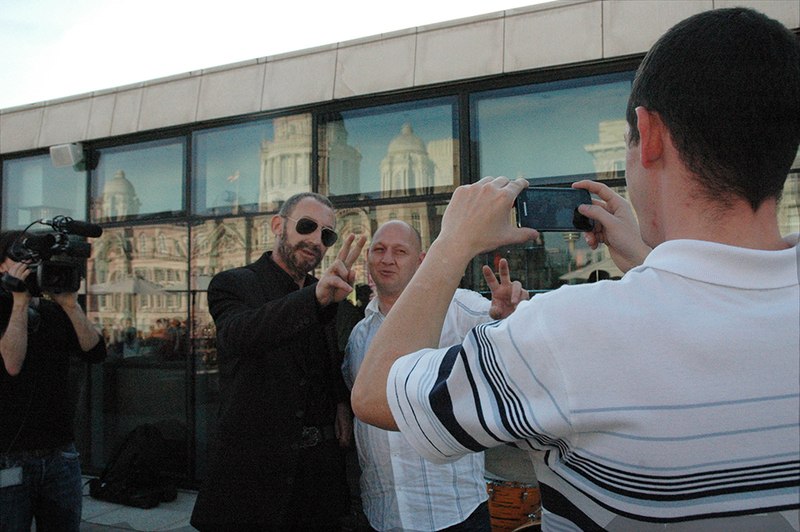 Bringing new meaning to the phrase cult of the celebrity, As-Salam Wal Hub – after the Arabic for ‘peace and love’ – saw Ashery remake volunteers in the image of Ringo Starr. 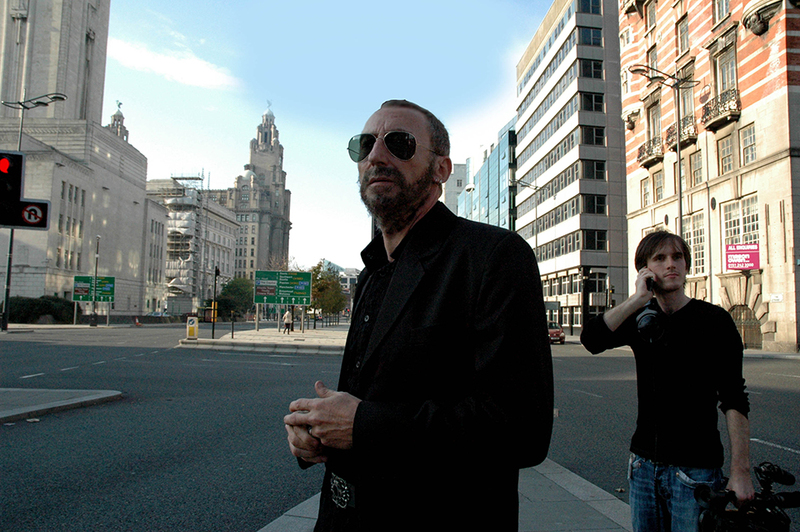 The raw material for this group transformation was the participants’ own hair, cut short with the help of Liverpool stylists Voodou For Him and reapplied to form Ringo’s distinct widow’s peak, beard and moustache. 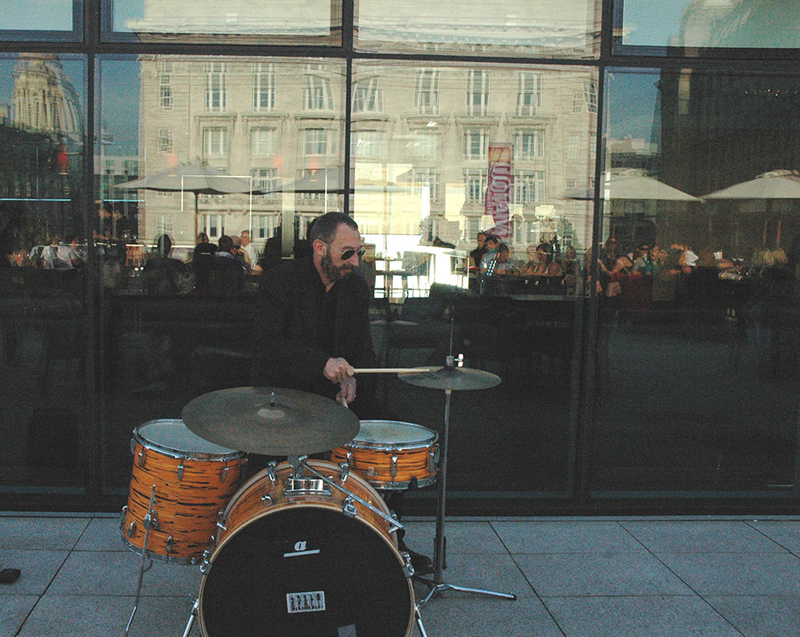 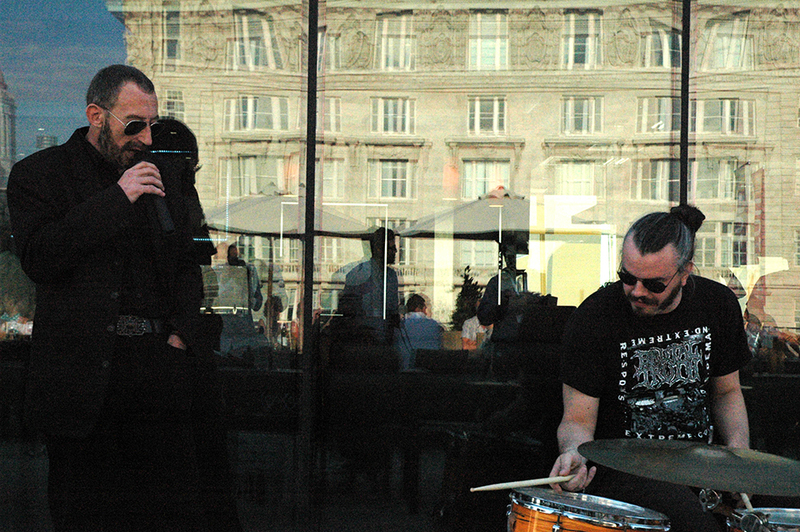 Dressed in black, decked out in sunglasses and making the peace sign, the ‘Starrs’ walked from Voodou to Pier Head where they convened on the roof terrace of Matou restaurant for a one-off performance.